Charges of “edge sorting” stemming from 2012 Baccarat sessions surface. It came to light on Friday that high stakes professional poker player, Phil Ivey, is being sued by The Borgrata Hotel Casino & Spa for $9.6 million that he won playing Baccarat over several sessions in 2012. According to the New Jersey Law Journal, the claim alleges that Ivey (aka Phillip “Phil” Ivey Jr.) “cheated” while playing in four different sessions of Baccarat using the technique known as “edge sorting” which allows players to find flaws in the pattern design on the back of playing cards with a full bleed design to help them win. The report states thatI Ivey contacted the Borgata in advance to arrange for a few special conditions under which he would play high stakes Baccarat. Ivey, whom ESPN and USA Today have called the world’s best poker player, contacted the Borgata in April 2012 to arrange a visit to play Baccarat. He agreed to make a $1 million deposit to a maximum bet of $50,000 per hand. At his request, Borgata provided a private “pit” in which to play and a casino dealer who spoke Mandarin Chinese. Ivey was allowed to have Sun at the table while he played and to have an automatic card shuffling device used. Apparently it’s the automatic card shuffler that’s the key as it keeps all the cards facing in the same direction, allowing “edge sorting” to take place for those who can identify it. Ivey then embarked on a 16-hour session, two years ago today on April 11, 2012, where his female partner, who is also named in the suit, Cheng Yin Sun, gave instructions to the dealer on how to handle the cards. During that session Ivey walked with $2.4 million. 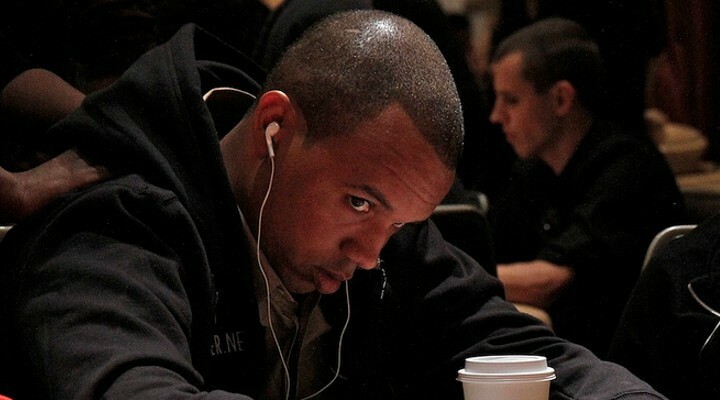 The pair came back to the Borgata less than a month later, on May 3, where, over the course of a few days, Ivey played 56 hours and took home $1.6 million. Again, Ivey retuned on July 26, where over the course of 17 hours he won another $4.8 million. On October 7, Ivey returned for another session, but by then news of his troubles with UK’s Crockfords Casino had surfaced and he was confronted by Borgata officials. As previously reported by pokerfuse, Ivey was accused of using “edge sorting” at Crockfords playing Punto Banco where he won £7.8 million (roughly $12 million) and is currently embattled in a lawsuit, as they have withheld payment from him. Along with Ivey and Sun, the original card manufacturer and designer, Gemaco Inc, is also named in the lawsuit.